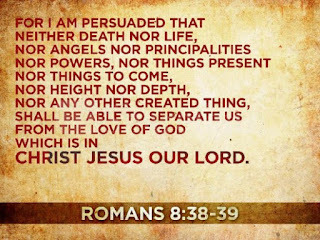 Walking with Jesus: Romans, Day 23: Romans 8:31-39 - How Secure Are Believers in God's Love? Romans, Day 23: Romans 8:31-39 - How Secure Are Believers in God's Love? How Secure Are Believers in God's Love? When I was a kid, growing up on military bases, I loved going to see fireworks. We always tried to sit as close as we could. 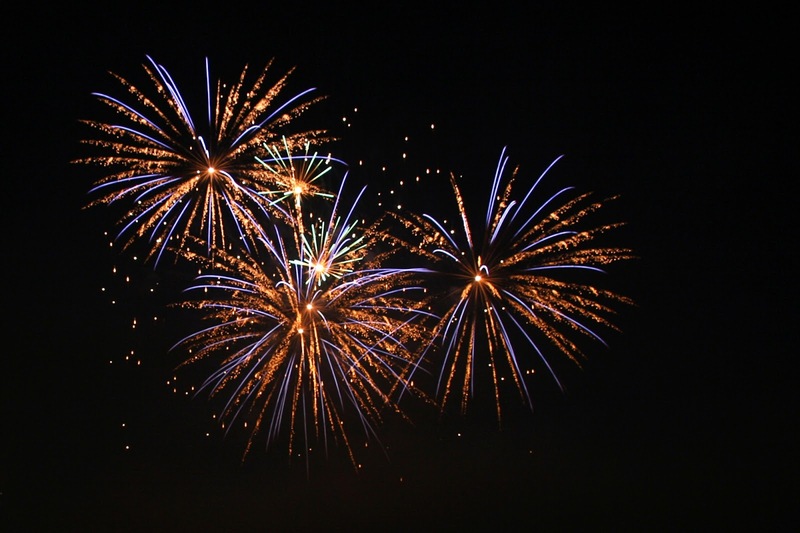 I still love fireworks, and seeing my kids' excitement has only made them more enjoyable. I love the surprise fireworks that shoot up high into the air before unleashing a massive cascade of color and shimmer. Even more, I love the build-up to the Grand Finale, when the fireworks start coming more rapidly and the sound and light and color all build to an level of intensity that lifts you to your feet moves you to shout and clap. 1. Can anything or anyone effectively oppose our salvation in Jesus? 2. Can anything or anyone separate us from God's love, given in Jesus Christ? In answer to the first question, Paul emphasizes how strongly God the Father is for us - "He who did not spare his own Son but gave him up for us all." He also emphasizes how much Jesus the Son of God is for us - "Christ Jesus is the one who died—more than that, who was raised—who is at the right hand of God, who indeed is interceding for us." So, any opposition we face must also stand against God the Father and Jesus Christ the Son. In answer to the second question, Paul then explores the various possible entities and forces that might try to oppose the work of God in our salvation, that might try to separate us from the love of God in Christ Jesus. His rousing conclusion is that nothing at all could possibly be strong enough to tear us away from God's love. For the believer, clinging to Jesus and not to ourselves, trusting His promises and not our doubts, fills us with a string confidence and an unshakable hope. 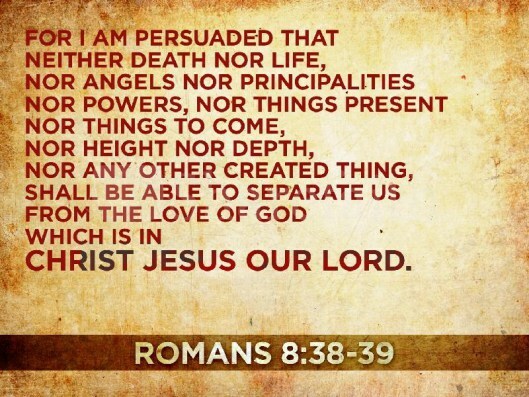 God is for us, and nothing can ever separate us from His love!